Queen Machine is one of Scandinavia’s most popular bands and has often been claimed as one of the best tribute bands in northern Europe. 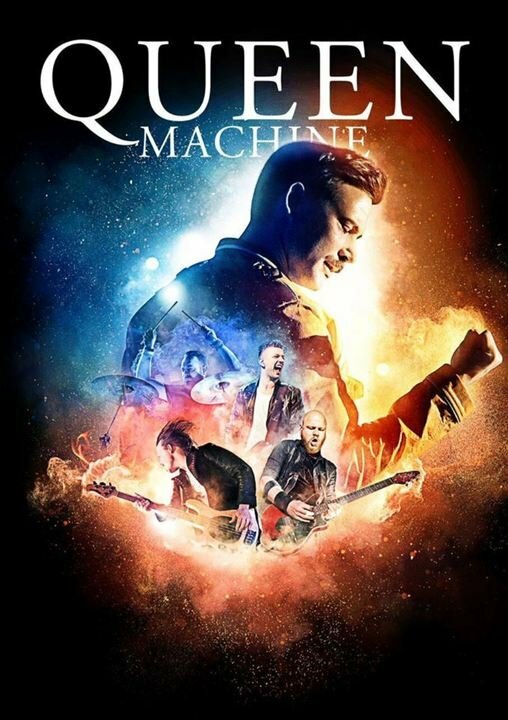 Queen Machine is world class when it comes to presenting Queen’s universe in a highly entertaining and authentic tribute show. In a decade Queen Machine has played numerous sold-out concerts, and every year the band plays various festivals for a great number of audiences. They have recently played for 20.000 people at “Smuk Fest”, one of the largest music festivals in Denmark. In the summer of 2016 Queen Machine also played a series of concerts with The National Symphony Orchestra of London along with opera singer Louise Fribo Besides concerts in their home country Denmark, Queen Machine has played concerts in Sweden, Norway and Germany, and the band has in several occasions performed in national TV shows. It was a great experience for Queen Machine when they in 2015 went to a Queen concert performed by some of the original Queen members. Lead singer Bjarke Baisner, who truly sounds and looks like a young Freddie Mercury, had, as one of very few, the honor of meeting the original band members Brian May and Roger Taylor before the concert. The two Queen legends recognize Queen Machine as one of the best tribute bands. Queen Machine make a great effort to raise money for the AIDS foundation and over the years they have been able to donate quite a lot of money to the fight against AIDS, which sadly killed Freddie Mercury in 1991. Particularly the lead singer Bjarke Baisner is personally very concerned about AIDS, as he grew up with parents who were doctors and took part in the fight against AIDS. In 2016 Barke himself graduated as a doctor.